Shiseido Company, Limited "Hanatsubaki" | MAUREKA: A site introducing works by Musashino Art University students, graduates, and faculty. 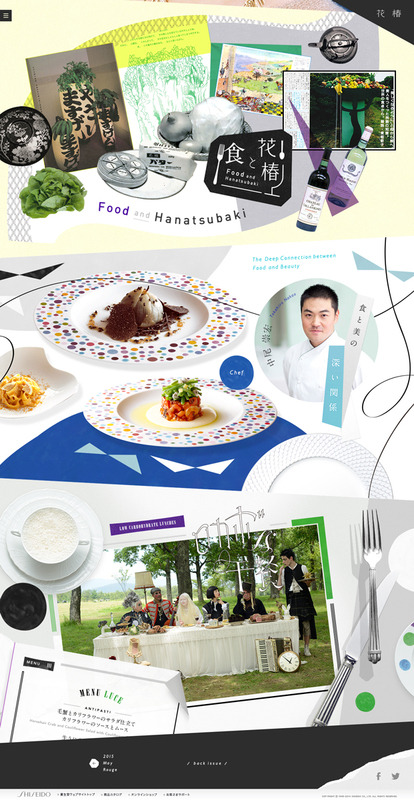 Web version of Shiseido's Hanatsubaki, a magazine with over 70 years of history. Pursued expressions suited to a digital medium CD, AD, Dir, Markup: RaNa design associates, inc.